Although it’s not named in series, this painting is definitely a relative of my previous Splash watercolors. 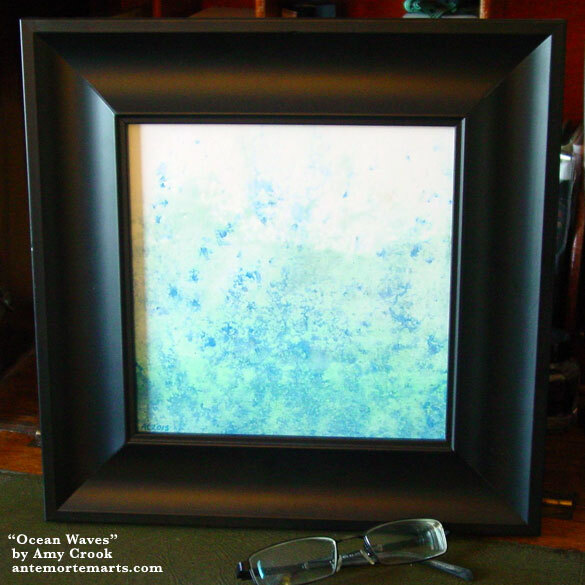 I asked my list whether this painting ought to be waves or a beach, and the overwhelming vote was for waves. There’s a splash and sploosh, the blue on top of the endless deep aqua, the white above it all like foam. There’s also just a hint of shine hiding here and there that only shows up when the sun hits it just right. If you want the warm memory of the ocean there on your desk or your wall, this is the perfect painting for you. 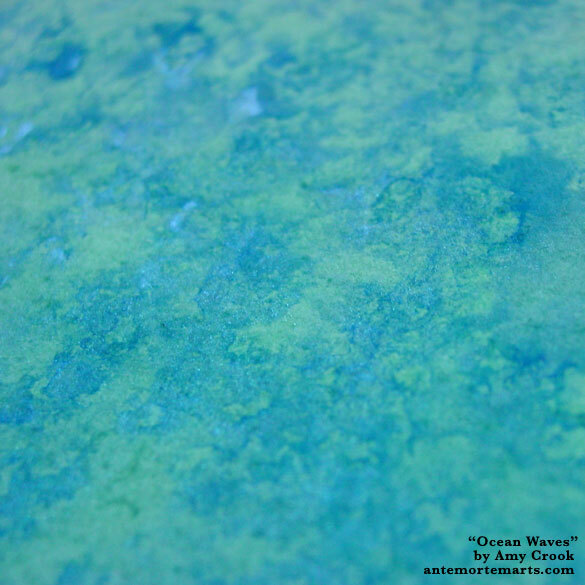 Ocean Waves, 8″x8″ watercolor and interference watercolor on Fluid watercolor paper. 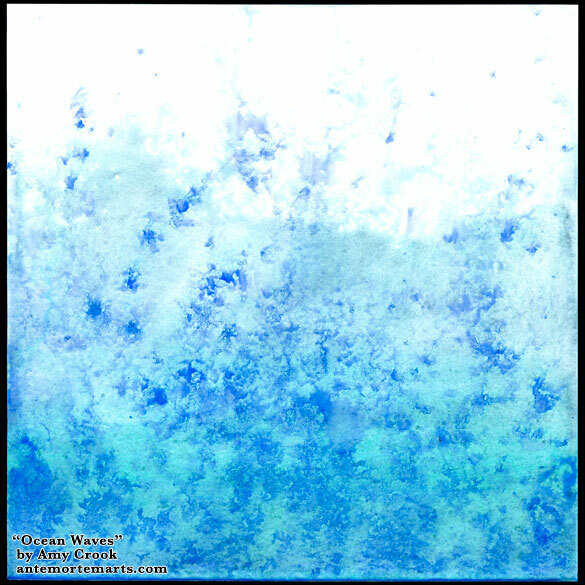 Above, you can see the waters looking darker with the shine of interference blue peeking out in subtle brightness. Below, the painting is in a frame in the sun, just waiting to go to its new home.